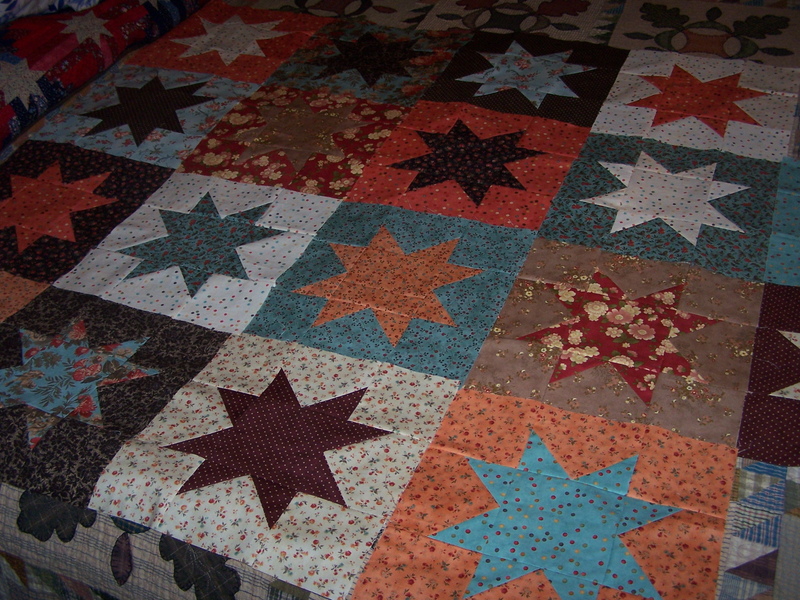 My adventures in quilting and other tidbits of my life at Casa de Ortega. All written content and photos in this blog belong to me. Please do not copy or use in any way without my permission. Thanks! 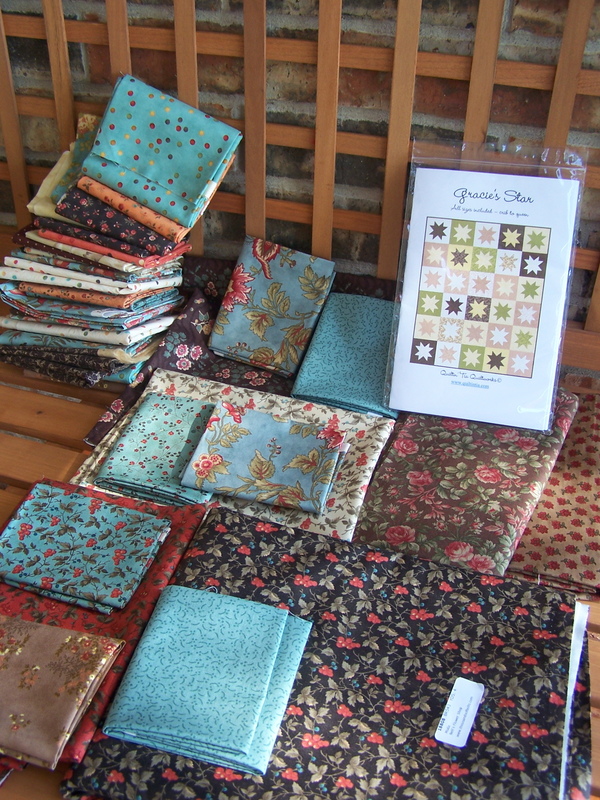 Ok, so I really like these fabrics together. 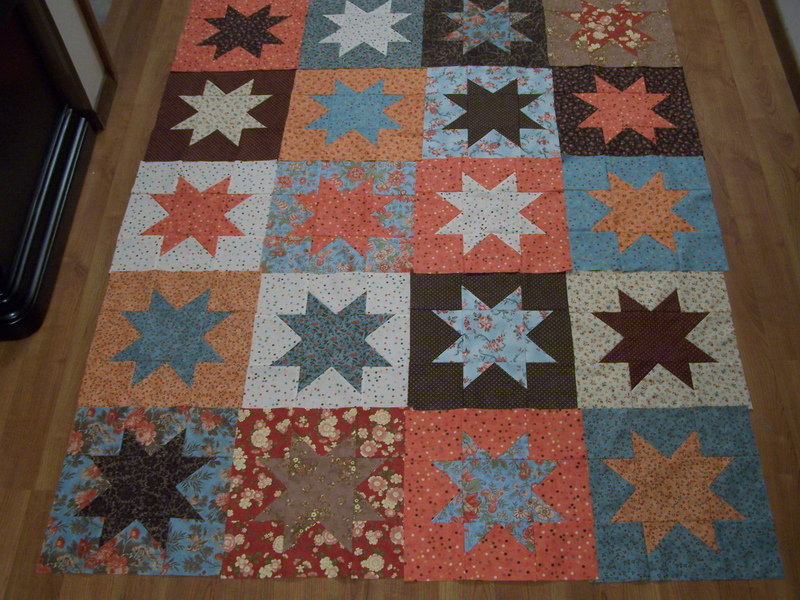 I really like the individual stars I’ve been making with them. However, I wasn’t liking them together. It just wasn’t working for me. I was feeling like I was really messing up a lot of pretty fabric. Only 29 more to go! Oh yea, you’ve got it! I LOVE both layouts! Those are my colors. I’m so into that teal color now. I see Moda’s Sonnet collection. I like the colors together. I do notice the 2 busy florals together at the bottom. You may choose to move one of those after the other 29 are done. I think it looks great. I do think you have to sometimes wait until they are all done, so you can see the big picture. 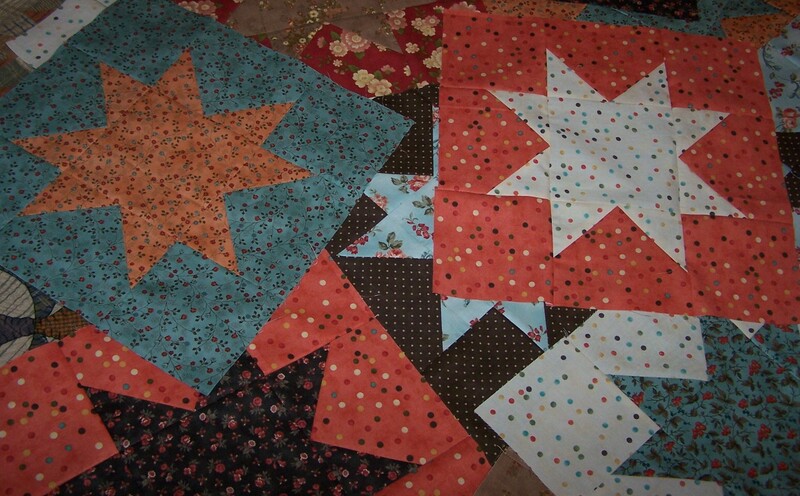 Happy New Year, Randi — Those are such beautiful fabrics, and I love how the star blocks are fitting together!